The Incredible Hulk Trailer: A new sequel for Hulk the movie ! A new sequel for Hulk the movie ! Our explosive superhero is back ! Living in the shadows, the incredible Hulk is in quest for an antidote thoughout the world. But as usual, the warmongers won't let him alone. 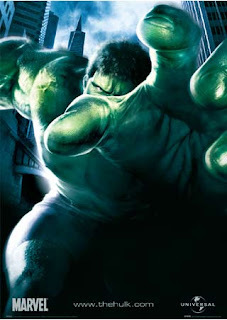 Besides Hulk is craving for going back to see his one love, Betty Ross (Liv Tyler). Upon returning to civilization, Hulk is pursued by The Abomination (Tim Roth) - a nightmarish beast of pure adrenaline and aggression whose powers match The Hulk's own. A fight of comic-book proportions ensues as Banner must call upon the hero within to rescue New York City from total destruction. This awful Abomination is going to have a tough time !